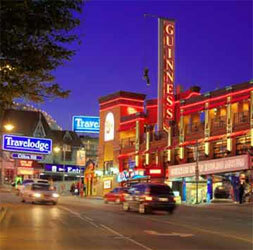 With a visit to the Guinness World Records Museum in Clifton Hill all of the unbelievable facts and feats featured in the popular book will come to life. You can rotate our 10,000 Kugel Ball that floats on water with your finger and even pose for a family picture in a chair big enough for Robert Wadlow, the world's tallest man.The Guinness World Record Book is even a record breaker itself, holding the record for the biggest selling copyright book ever! 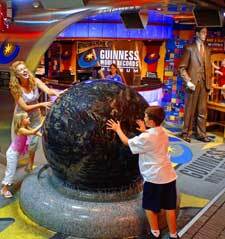 Discover a number of amazing sights in this popular museum that brings the Guinness World Record Book to life! 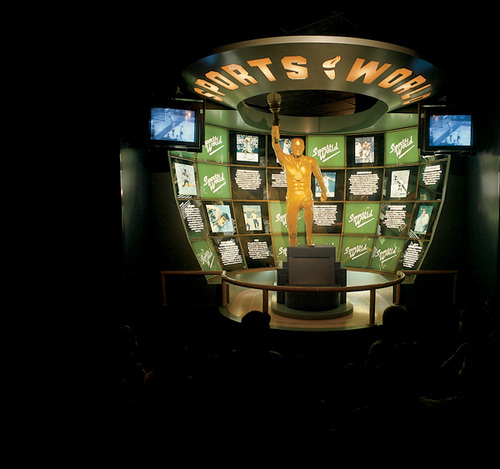 Covering the genres of arts, entertainment, literature, the natural world and sports, there's a sight for nearly everybody at the Guiness World Records Museum in Niagara Falls. Bring the entire family out and experience for yourself the limits and records of our natural world! The museum allows you to explore the exhibits at your own pace. You can spend as little as an hour, or as long as all day. Open Daily -- Nov. 1- Mar. 31, 10am -10pm; Apr. 1 - Oct. 31, 9am - 1am (Hours subject to change). Educational Programs are Available for Student Groups. This activity is partially handicap accessible. The first floor of the museum is handicap accessible, the rest of the museum is not. Cameras and video cameras are permitted, but they are strictly prohibited from being posted on the internet or for commercial gain. 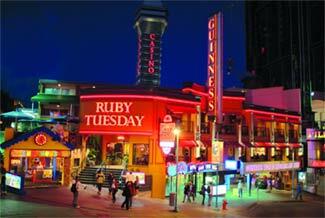 Available on Canadian side of Niagara Falls. Children enjoyed the hands on games and activities.